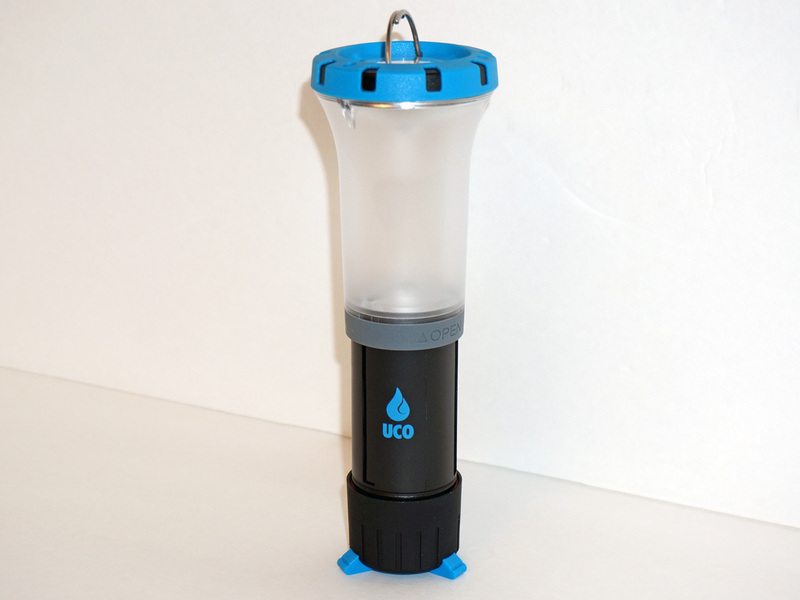 UCO by Industrial Revolution, Inc.
from the UCO website: "The UCO Lumora LED Lantern™ is a compact and collapsible lantern that provides up to 180 lumens of light that is comfortable to read by. The Lumora's frosted globe slides down easily to switch between lantern and flashlight modes when you need more focused lighting. The Lumora can also be attached to any tripod, walking stick, or other device with a 1/4-20 mounting screw. The on/off switch controls the brightness of the lantern—just hold the button and it will dim or brighten, then it flashes twice when it has reached the lowest/highest setting. Perfect for auto and home emergency preparedness kits, RVs, and around the campsite." The UCO Lumora LED Lantern™, available in yellow, green, or blue colors, also features extendable feet for added stability, and a split ring for hanging. I was watching our mini adventurer play with my old yellow Eveready® flashlight/lantern and thought there must be a newer LED flashlight/lantern combo on the market. After a quick search I found several offerings by UCO. 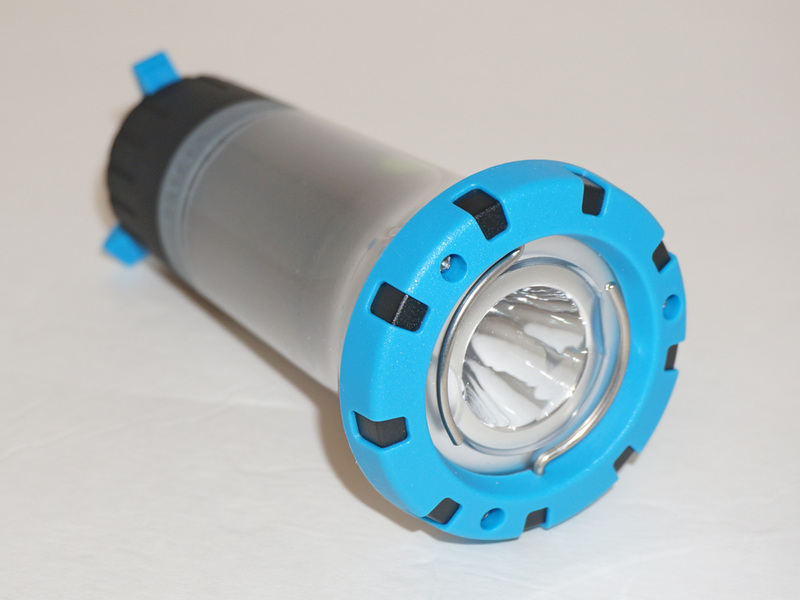 including the Lumora LED Lantern™ which I ultimately decided on. The size is very close to my old Eveready® and the Lumora feels great in my hands. It appears well made and durable. I like how the split rings for hanging it fold out of the way when you want to use it as a flashlight. In lantern mode it is designed to stand on the base with the bezel facing up, but it also works the other way. At first I didn't realize the feet on the base were extendable. I like this feature, but I could see the feet breaking off when extended if someone was careless. 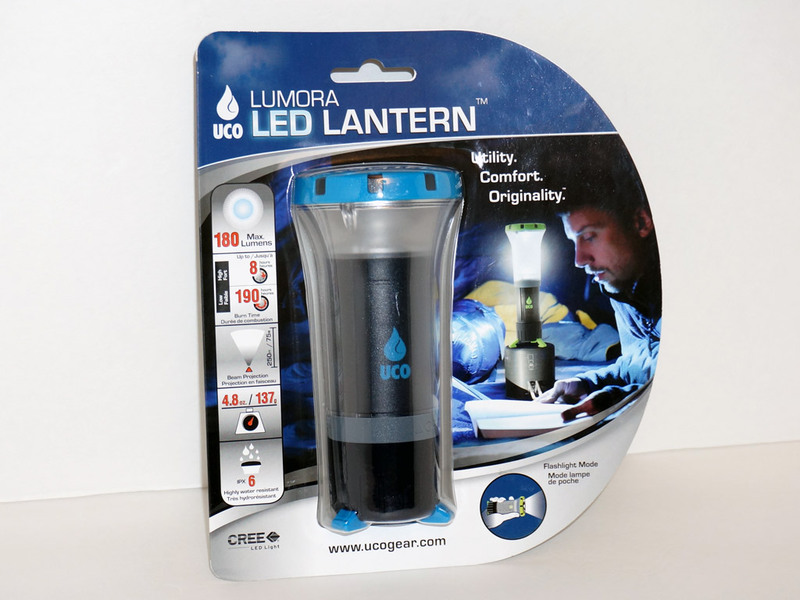 The UCO Lumora LED Lantern™ is very bright in flashlight mode. I plan to use it on car camping trips and power outages at home. For these purposes I think it will be perfect. The dimming feature is neat, but I can only see using it while in the lantern configuration. 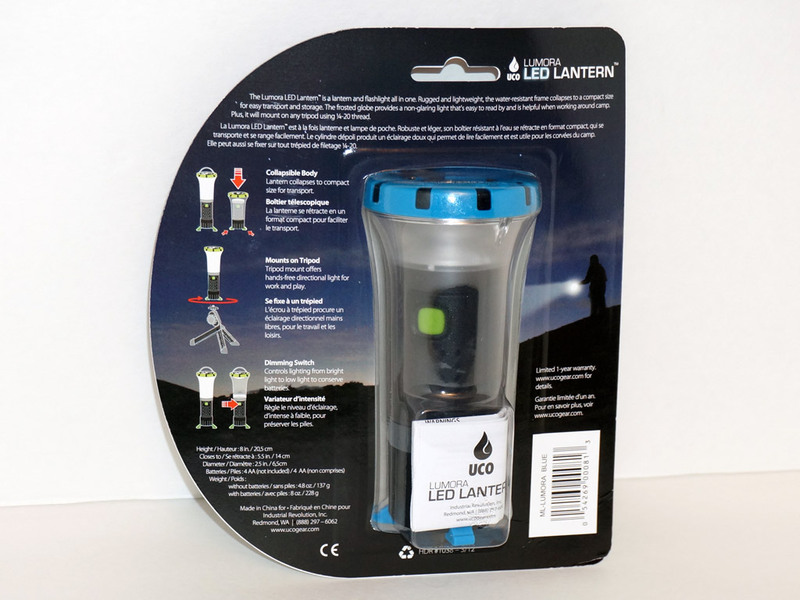 As a lantern, it provides plenty of diffused light to light up a tent. I think it works best hung higher than eye level as anything lower and it appears almost blinding to the eye on high. This is where the dimming feature works great. 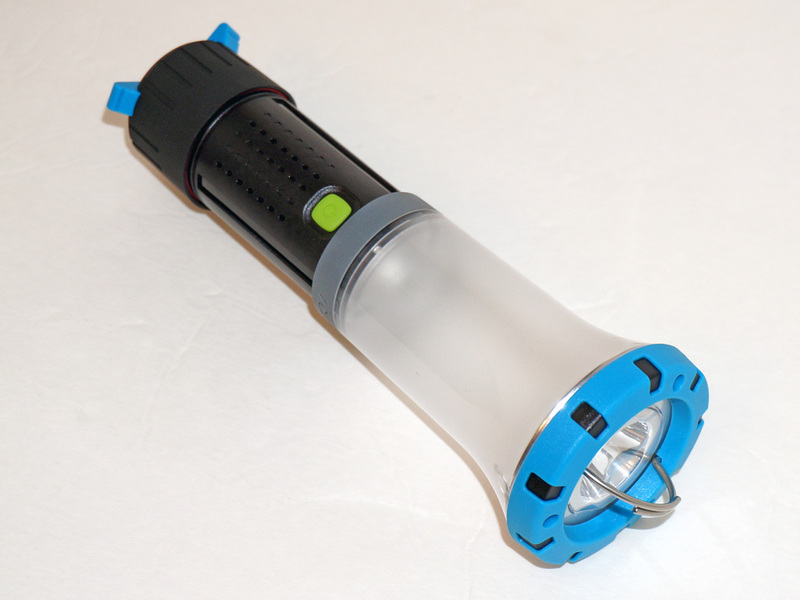 Overall, I think the Lumora is a great flashlight/lantern combo and look forward to using it on future camping trips. 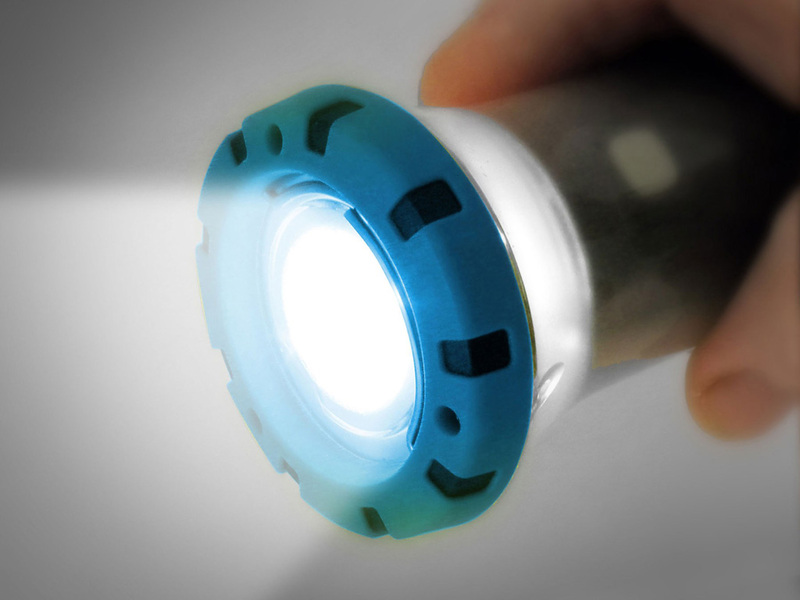 The UCO Lumora LED Lantern is a handy little flashlight. Its versatility leads it to being handy in many situations from camping to power outages. We relied on it heavily during a power outage at home. It worked great providing enough light to shower. 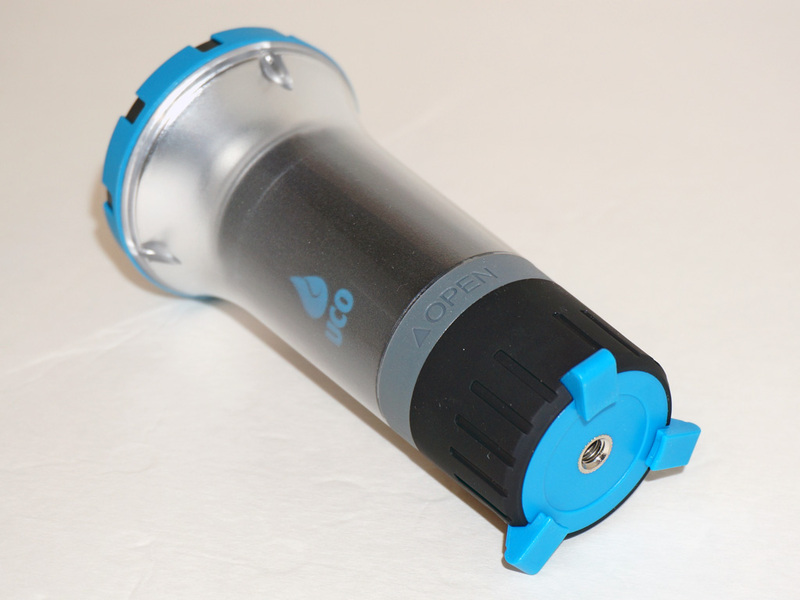 Overall The UCO Lumora is a great lantern flashlight.